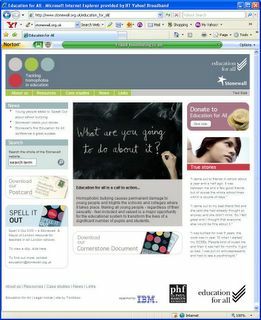 Click on the screen shot (above) to visit the Stonewall website. We sold the last signed copy of AARGH today and donated £377.00 to the Stonewall Education For All campaign. Thanks to everyone who bought a copy and gave their support. Don't forget, we're still selling unsigned AARGHs though and the money we raise will continue to go to Stonewall.